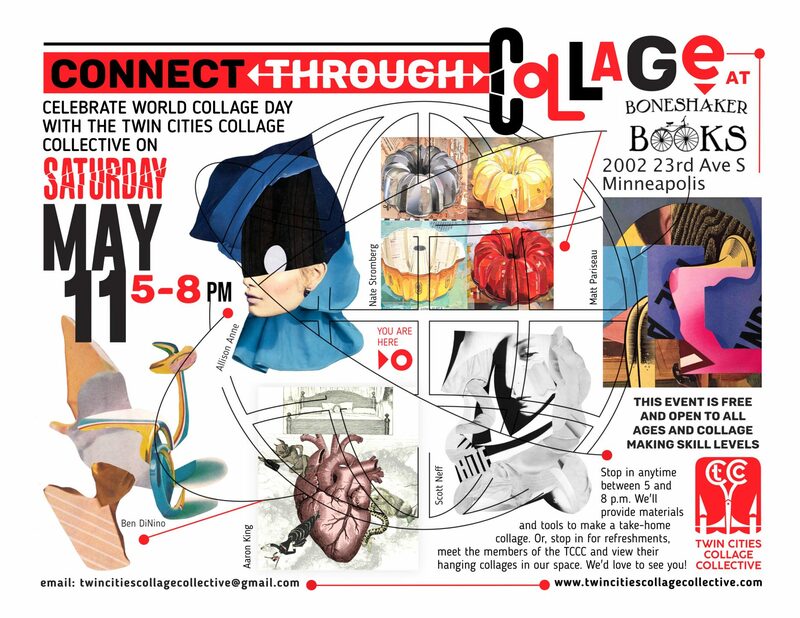 Save the date — Twin Cities Collage Collective invites you to a World Collage Day celebration on Saturday, May 11th at Boneshaker Books in Minneapolis! This event is free and open to all ages. All are welcome, whether you’re a seasoned cut-‘n-paster or new to the world of collage! 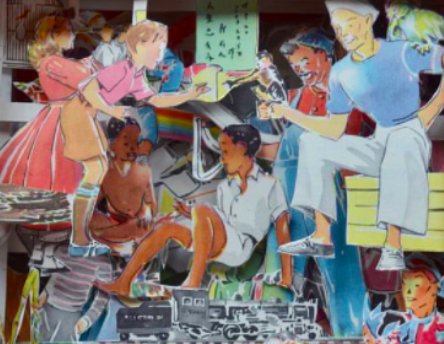 Come see the works on view by Twin Cities Collage Collective members, enjoy light refreshments and work on collage! We’ll provide materials, but you’re also welcome to bring your own! Learn more about World Collage Day and Kolaj Magazine here. If you’d like to print out the flyer to share or post it around town, feel free to do so! Download a copy here.